1. 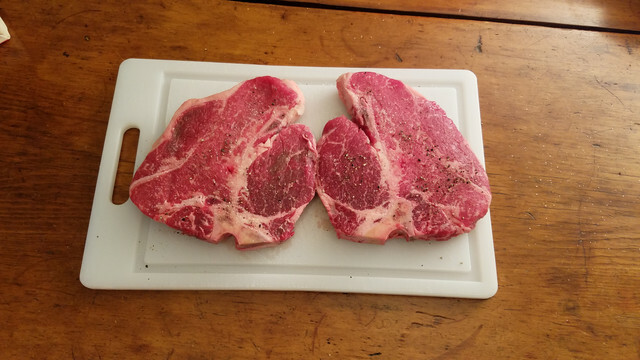 Salt and pepper both sides of the steak. Preheat oven to 400 F.
2. Place a grill pan or frying pan over high heat. 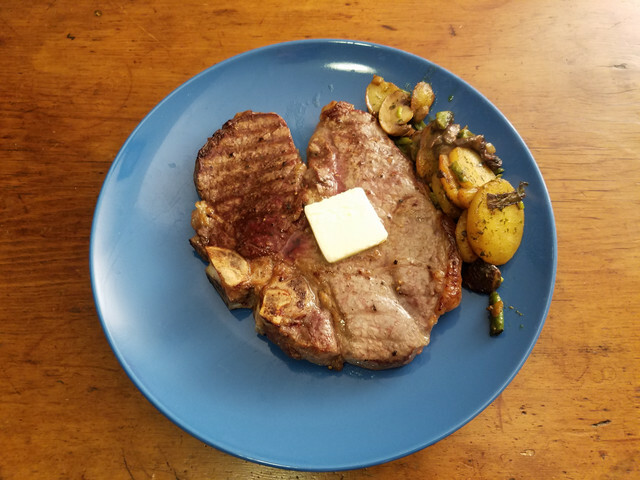 Melt butter into the pan, and, when hot, sear steaks, 4 minutes each side or until nice and browned. 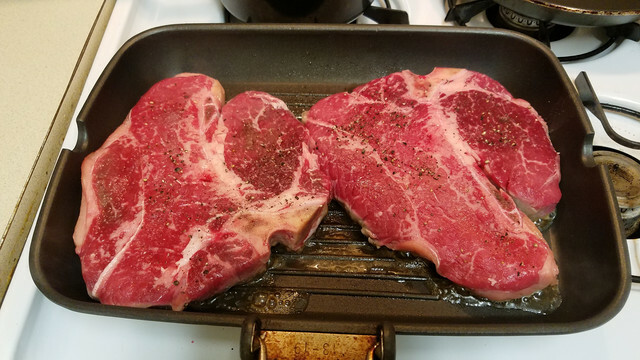 Do not move steaks around after placing them in the pan. 3. To finish off, place in the oven for 6-8 minutes or until cooked to desired done-ness. If you want exceptionally rare, it’s likely the pan will be enough. If you like it a bit more well done, place in the oven for required time. You can check done-ness by slicing into a thick part of the steak or testing by hand. 4. After finishing in the oven, let rest to let juices redistribute, about 10 minutes. Use this time to finish off preparing your side dishes. 5. And now it’s done!!! Garnish with a pat of butter for maximum deliciousness.